We welcome you, from our hearts, to Synergy Yoga, a creative and nourishing style of Hatha Flow Yoga. 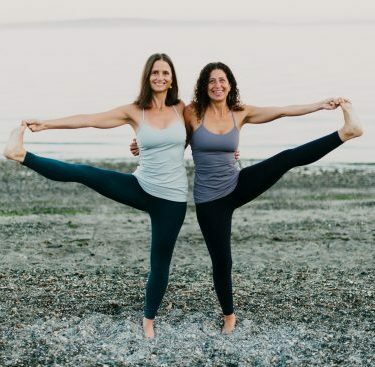 We offer Yoga Retreats and Workshops, as well as a Yoga Alliance Registered Yoga Teacher Training Course, in Seattle, Washington. We offer a 200 – Hour YTT, Prenatal YTT, both are registered with Yoga Alliance. We also offer advanced teacher training through our Mentorship Program. Our upcoming 500 – Hour YTT includes modules such as Yin, Restorative, Senior/Chair Yoga, the Art of Adjusting, Advanced Ayurveda studies and diving more deeply into classical Yoga Philosophy text: Bhagavad Gita, Upanishads & The Yoga Sutras. We’ve offered retreats locally and internationally since 2004. Every Autumn we go to Whidbey Island and in the Spring to Sleeping Lady in Leavenworth. Our past destinations have included Goa and Kerala in India, Bali, Italy and Greece. Throughout the year we also offer workshops in Seattle. We have recorded several one – hour long practices including Hatha Flow, Ayurvedic Yoga for Vata, Pitta, and Kapha, and a Restorative Yoga Practice.